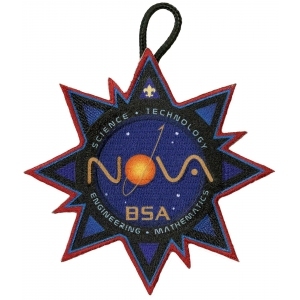 The following requirements apply to any specific STEM field of interest chosen by a Venturer or Sea Scout in the course of completing a Nova or Supernova award. Visitations will require advance planning by the Venturer with assistance from the counselor. The counselor should call ahead to make arrangements, and make plans to have appropriate supervision of all Venturers. The site will very likely have rules and instructions that must be followed. The counselor should help ensure that all the participants are aware of and follow those rules. This may include safety procedures and other instructions. In consultation with your counselor and, if necessary, a consultant who is a specialist in this field, identify four hands-on activities that are examples of work done in this field that you could carry out yourself. Each activity should engage your attention and efforts for approximately three hours. Under the supervision of appropriate specialists and observing the highest standards of safety, carry out all four activities. Discuss with your counselor what you learned during each activity. Examples include - but are not limited to - conducting experiments, building models, designing tools, drawing plans, learning how to use tools, and serving as an assistant/apprentice to a specialist. Using a combination of library research, Internet research (with your parent's or guardian's permission), and interviews with experts, find out how important the role of this field is in addressing the problems facing our modern world: a burgeoning worldwide population, stresses on the environment, ongoing issues of basic health and sustenance, or other concerns. How might knowledge, abilities, and capacity in this field bring about positive change on a significant scale? Create an oral or written report and present it to your counselor.